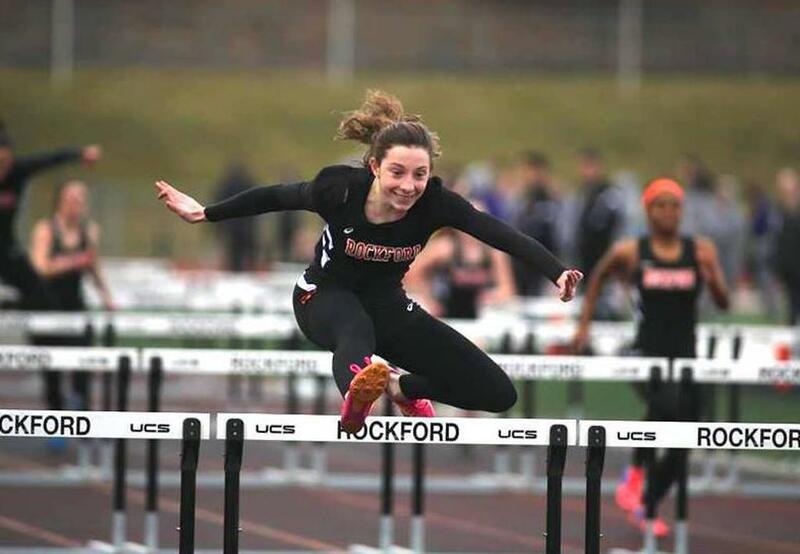 ROCKFORD – The Lady Rams kicked off their season with an impressive showing in track & field against Greenville, Thursday, March 21. 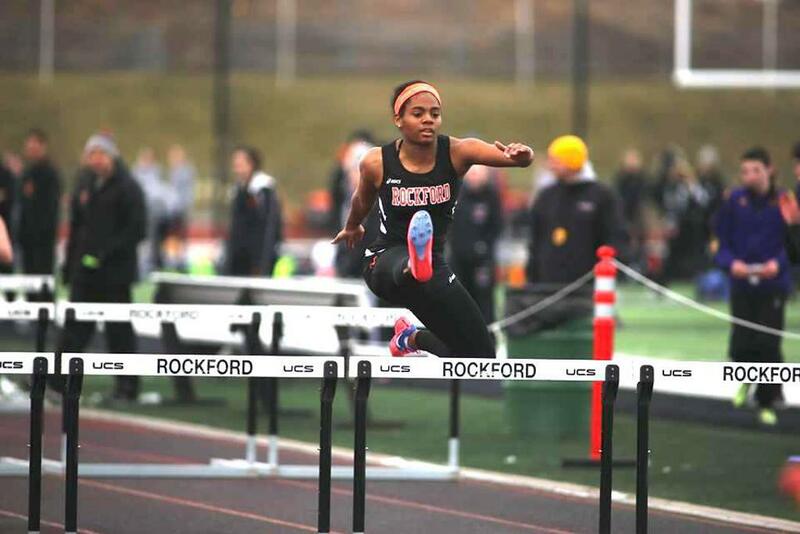 Rockford dominated their meet, claiming firsts in all but one event on their way to the 111-17 victory. The young Rams added their talent to the experienced speedsters, jumpers and throwers to make for an exciting meet for Ram fans, and a highly successful meet for the team. The Rams claimed all three relays, and placed first in all the running events. Abby Nash claimed the 100m, and freshman Kate Zang is making her mark early, claiming second in the 100m and finishing first in the 200m. The Rams were strong in the 400m, with freshmen Grace Flanders and Allison Everhart-Deckard and sophomore Riley Thompson sweeping the event. 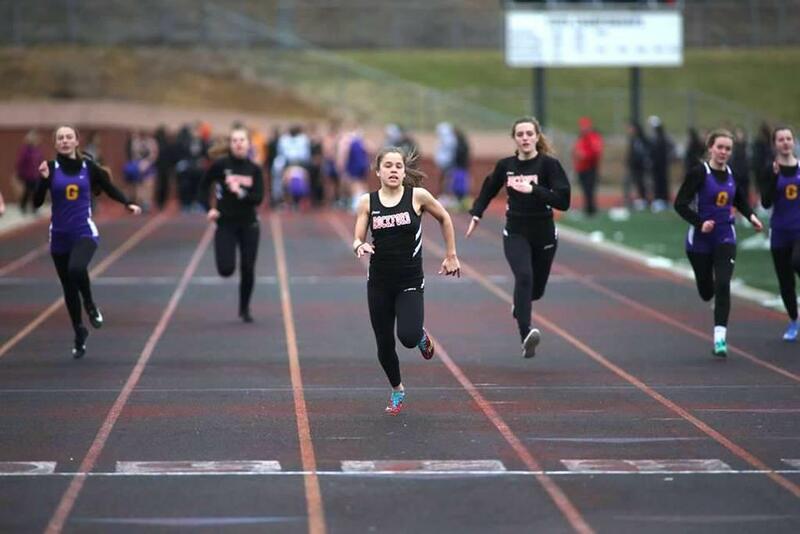 Karlie Gardner placed first in the 800m, and standouts Ericka VanderLende and Emma Everhart-Deckard went 1-2 in the 1600m, with freshman Bailey Ewen claiming third. 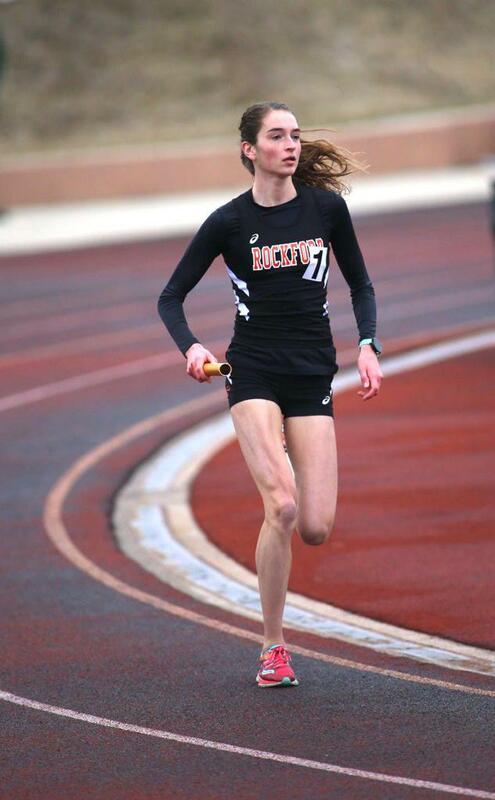 Emma Everhart-Deckard claimed the 3200m, with freshman Mara Sweeney following in second with a PR, and Diana Candela completed the sweep by claiming third. 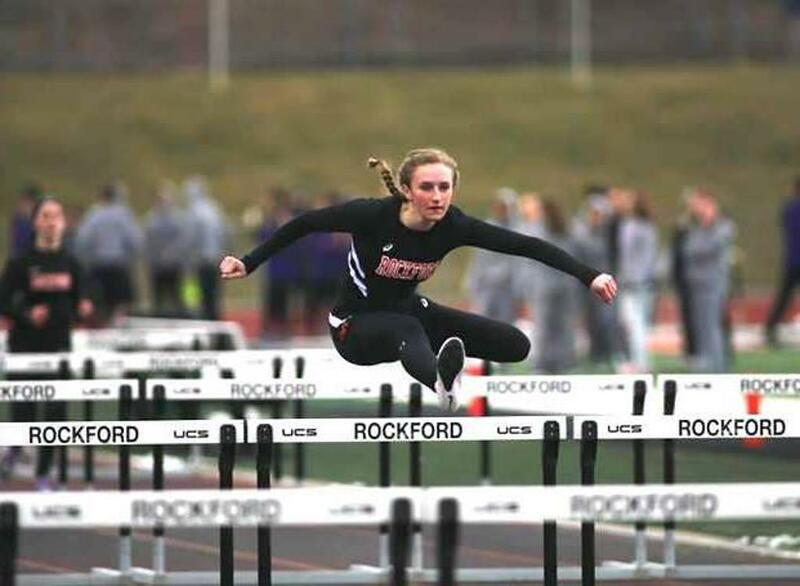 Peyton Korytkowski had a big night claiming first in both the 100m and 300m hurdles, with Aimee Zang claiming second in both events, and Natalie Huls earning third in both. The Rams also swept the Pole Vault, with Shelby Korytkowski claiming first at 9-00. Freshman Olivia Shubert earned first in the High Jump with a PR of 4-09., and Breanna Haverkamp claimed first in the Shot Put with a throw of 32-11 and second in the discus for a big day on the field. Top finishes for the Rams: 100m – 1. Abby Nash 13.05, 2. Kate Zang 13.33 (PR), 3. Grace Gohl 13.45; 200m – 1. Kate Zang 27.98 (PR), 2. Natalie Huls 30.49; 400m – 1. Grace Flanders 1:04.72 (PR), 2. Allison Everhart-Deckard 1:08.14 (PR), 3. Riley Thompson; 800m – 1. Karlie Gardner 2:31.1, 2. 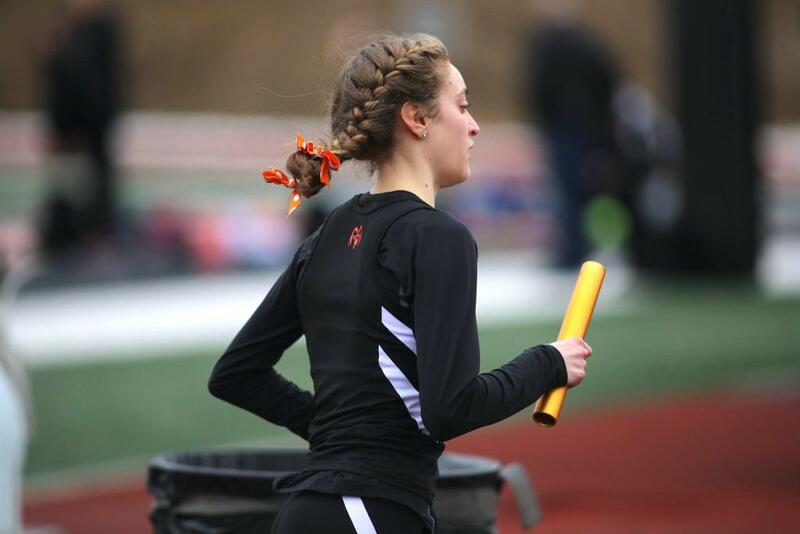 Lexie Allshouse 2:31.2; 1600m – 1. Ericka VanderLende 5:21.64, 2. Emma Everhart-Deckard 5:41.40, 3. Bailey Ewen 5:42.94 (PR); 3200m – 1. Emma Everhart-Deckard 12:31.30, 2. Mara Sweeney 13:26.61; 3. Diana Candela 13:41.69; 100m Hurdles – 1. Peyton Korytkowski 16.29, 2. Aimee Zang 16.67, 3. Natalie Huls 18.04; 300m Hurdles – 1. Peyton Korytkowski 50.59, 2. Aimee Zang 51.19, 3. Natalie Huls 52.87; 4X100 Relay – 1. Morgan Vargo, Abby Nash, Grace Gohl, Taylor Korytkowski 50.06; 4X200 Relay – 1. 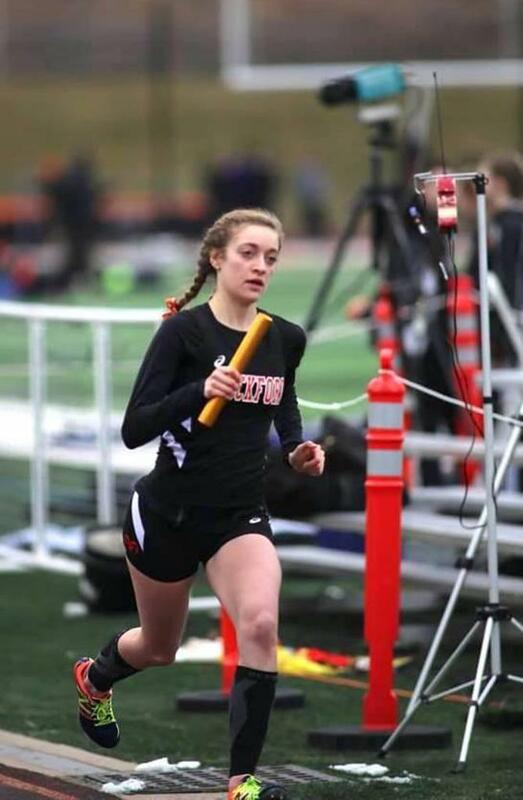 Peyton Korytkowski, Grace Flanders, Abby Nash, Taylor Korytkowski 1:49.70; 4X400 Relay – Peyton Korytkowski, Karlie Gardner, Grace Flanders, Taylor Korytkowski 4:19.43; 4X800 Relay – Karlie Gardner, Lexie Allshouse, Emma Everhart Deckard, Ericka VanderLende 9”56.25; Shot Put – 1. Breanna Haverkamp 32-11., 3. Averi Nixon 26-04; Discus – 2. Breanna Haverkamp 83-02; High Jump – 1. Olivia Schubert 4-09, 2. Valencia Goldsmith 4-07; Pole Vault – 1. Shelby Korytkowski 9-00, 2. Morgan Vargo 9-00, 3. Breanna Haverkamp 9-00. To view more Track & Field photos click here.